This article is about the vegetable. For other uses, see Cabbage (disambiguation). Green – Light to dark green, slightly pointed heads. 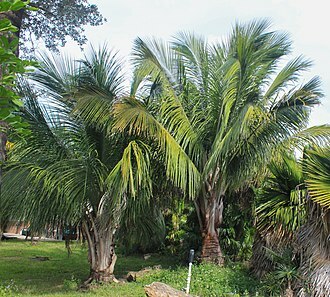 This is the most commonly grown cultivar. ^ a b "Classification for species Brassica oleracea L." PLANTS database. United States Department of Agriculture. Retrieved 2012-08-10. ^ a b c Delahaut, K. A.; Newenhouse, A. C (1997). "Growing broccoli, cauliflower, cabbage and other cole crops in Wisconsin" (PDF). University of Wisconsin. p. 1. Retrieved 2012-08-12. 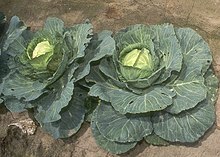 ^ "Brassica oleracea L. – Cabbage". United States Department of Agriculture. Retrieved 2012-08-10. ^ Small, Ernst (2009). Top 100 Food Plants. NRC Research Press. p. 127. ISBN 978-0-660-19858-3. ^ "Brassica oleracea". Germplasm Resources Information Network (GRIN). Agricultural Research Service (ARS), United States Department of Agriculture (USDA). Retrieved 2012-08-12. ^ a b c d e f "Of Cabbages and Celts". Aggie Horticulture. Texas A&M University. Retrieved 2013-10-19. ^ Schneider, Elizabeth (2001). Vegetables from Amaranth to Zucchini: The Essential Reference. HarperCollins. pp. 195–196. ISBN 978-0-688-15260-4. ^ Morris, Charles (1915). Winston's Cumulative Encyclopedia: A Comprehensive Reference Book. 2. J. C. Winston. p. 337. ^ Winer, Lise (2009). 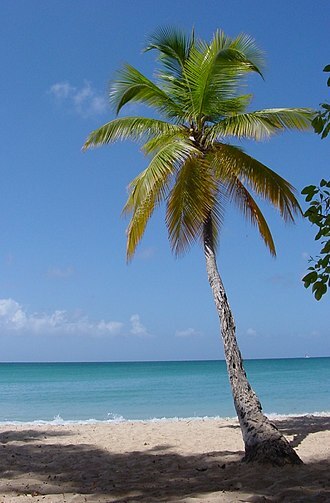 Dictionary of the English/Creole of Trinidad & Tobago: On Historical Principles. McGill-Queen's Press. p. 150. ISBN 978-0-7735-3406-3. ^ a b c Sturtevant, Edward Lewis (1919). Sturtevant's Notes on Edible Plants. J.B. Lyon. pp. 115, 117. ISBN 9780486204598. ^ Chantrell, Glynnis, ed. (2002). The Oxford Dictionary of Word Histories. Oxford University Press. p. 76. ISBN 978-0-19-863121-7. ^ Green, Jonathon (2006). Cassell's Dictionary of Slang. Sterling Publishing Company. pp. 230–231. ISBN 978-0-304-36636-1. ^ a b c d e f "Cabbage". University of Illinois Extension. Retrieved 2012-08-10. ^ "Cabbage". GMO Food Database. GMO Compass. Archived from the original on 2013-10-18. Retrieved 2013-10-19. 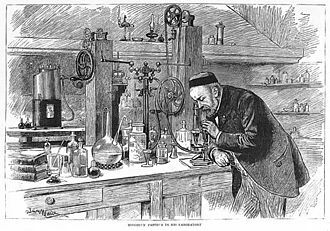 ^ A brief historical sketch is in Maguelonne Toussaint-Samat, A History of Food, 2nd ed. 2009, pp 622ff. ^ a b c d e f g h i Ingram, Christine (2000). The Cook's Guide to Vegetables. Hermes House. pp. 64–66. ISBN 978-1-84038-842-8. ^ Chen, S.; Nelson, M. N.; Chèvre, A.- M.; Jenczewski, E.; Li, Z.; Mason, A.; Meng, J.; Plummer, J. A.; Pradhan, A.; Siddique, K. H. M.; Snowdon, R. J.; Yan, G.; Zhou, W.; Cowling W. A. (2011). "Trigenomic bridges for Brassica improvement". Critical Reviews in Plant Science. 30 (6): 524–547. doi:10.1080/07352689.2011.615700. ^ Maggioni, Lorenzo (2015). "Domestication of Brassica oleracea L." (PDF). Acta Universitatis Agriculturae Sueciae. Doctoral Thesis no. 2015:74. ^ "Cabbage plants" are mentioned by A. Leo Oppenheim, Ancient Mesopotamia: Portrait of a Dead Civilization rev. ed. 1977, p 313. ^ a b Encyclopedia of Cultivated Plants: From Acacia to Zinnia. ABC-CLIO. 2013. p. 169. ISBN 978-1-59884-775-8. ^ a b Janick, Jules (2011). Plant Breeding Reviews. 35. John Wiley & Sons. p. 51. ISBN 978-1-118-10049-3. ^ Selected Papyri I, 186, noted in Alan K. Bowman, Egypt After the Pharaohs, p 151. ^ a b Dalby, Andrew (2013). Food in the Ancient World from A to Z. Routledge. p. 67. ISBN 978-1-135-95422-2. ^ Pliny's Natural History, 20. 78-83. ^ a b c The Natural History of Pompeii. Cambridge University Press. 2002. p. 94. ISBN 978-0-521-80054-9. ^ Cato, De agricultura, CLVI, CLVII; the passages are paraphrased by Pliny the Elder. ^ a b c Boriss, Hayley; Kreith, Marcia (February 2006). "Commodity Profile: Cabbage" (PDF). University of California – Davis. Archived from the original (PDF) on 2012-12-07. Retrieved 2012-08-21. ^ Joseph Bosworth. ed. An Anglo-Saxon Dictionary, s.v. "cawel" gives parallels: Scottish kail, kale; Frisian koal, koel; Dutch kool (fem. ); German kohl (masc. ), etc. but also Welsh cawl; Cornish caul (masc. ); etc. Compare Latin caulis. ^ Jeffrey L. Forgeng, Will McLean, Daily Life in Chaucer's England 2009, p 298. ^ Charles Parrain, "The evolution of agricultural technique" in M. M. Postan, ed. The Cambridge Economic History of Europe: I. The Agrarian Life of the Middle Ages, p 166. ^ a b c Wright, Clifford A. (2001). Mediterranean Vegetables: A Cook's ABC of Vegetables and Their Preparation in Spain, France, Italy, Greece, Turkey, the Middle East, and North Africa with More Than 200 Authentic Recipes for the Home Cook. Harvard Common Press. pp. 77–79. ISBN 978-1-55832-196-0. 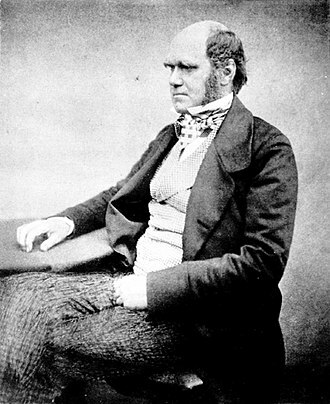 ^ Cooper, Anthony Ashley (1st Earl of Shaftesbury) (1859). Memoirs, Letters, and Speeches, of Anthony Ashley Cooper: With Other Papers. John Murray. p. 3. ^ A translation is in Mary Isin, Sherbet and Spice: The Complete Story of Turkish Sweets and Desserts, 2013, p. 146. ^ Dabholkar, A. R. (2006). General Plant Breeding. Concept Publishing. p. 135. ISBN 978-81-8069-242-0. ^ a b "Cabbage". Sydney Markets, Ltd. Archived from the original on 2012-08-08. Retrieved 2012-08-10. ^ Nolte, Kurt. "Green Cabbage" (PDF). University of Arizona. Retrieved 2012-08-14. ^ "Heaviest cabbage". Guinness World Records. Retrieved 2012-08-09. ^ "Heaviest red cabbage". Guinness World Records. Retrieved 2012-08-09. ^ "Longest cabbage roll". Guinness World Records. Retrieved 2012-08-09. ^ "Largest cabbage dish". Guinness World Records. Retrieved 2012-08-09. ^ "Alaska Man Rolls Record Cabbage Out Of The Patch". National Public Radio. Retrieved 2012-09-04. ^ Thompson, A. Keith (2003). Fruit and Vegetables: Harvesting, Handling and Storage (2nd ed.). Blackwell Publishing. p. 178. ISBN 978-1-4051-0619-1. ^ Becker, Robert F.; Bjorkmann, Thomas. "Nonpathogenic Disorders of Cabbage". Vegetable MD Online. Cornell University: Department of Plant Pathology. Retrieved 2013-08-30. ^ a b Keinath, Anthony P.; Cubeta, Marc A.; Langston Jr., David B. (2007). 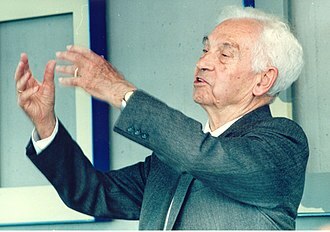 "Cabbage diseases: Ecology and control". In Pimentel, David. Encyclopedia of Pest Management. 2. CRC Press. pp. 56–59. ISBN 978-1-4200-5361-6. 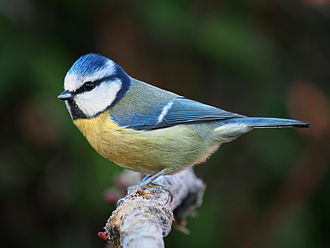 ^ a b Finch, Stan; Collier, Rosemanry H. (2007). "Cruciferous root crop insects: Ecology and control". In Pimentel, David. Encyclopedia of Pest Management. 2. CRC Press. pp. 131–134. ISBN 978-1-4200-5361-6. ^ a b "Crops/Regions/World list/Production Quantity (pick lists), Cabbages and other brassicas, 2014". UN Food and Agriculture Organization, Corporate Statistical Database (FAOSTAT). 2017. Retrieved 20 May 2017. ^ "Cabbage". Louis Bonduelle Foundation. Archived from the original on 2012-06-16. Retrieved 2012-08-22. ^ MacVeigh, Jeremy (2008). International Cuisine. Cengage Learning. pp. 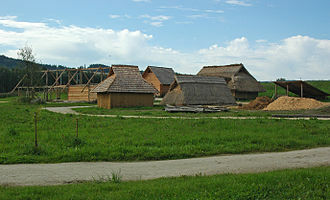 53–54. ISBN 978-1-4180-4965-2. ^ Marks, Gil (2008). Olive Trees and Honey: A Treasury of Vegetarian Recipes from Jewish Communities Around the World. Houghton Mifflin Harcourt. p. 392. ISBN 978-0-544-18750-4. ^ Corriher, Shirley O. (2000–2001). "Corriher's Compendium of Ingredients and Cooking Problems" (PDF). Food for Thought. 32 (1): 6. Archived from the original (PDF) on 2008-12-17. 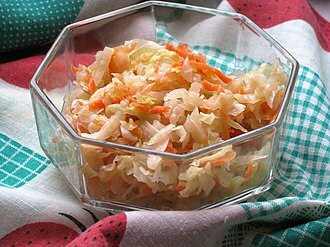 ^ "USDA database table for raw cabbage per 100 g". US Department of Agriculture, National Nutrient Database for Standard Reference, version SR-27. 2014. Archived from the original on 29 November 2014. Retrieved 4 December 2014. ^ Dinkova-Kostova AT, Kostov RV (2012). "Glucosinolates and isothiocyanates in health and disease". Trends Mol Med. 18 (6): 337–47. doi:10.1016/j.molmed.2012.04.003. PMID 22578879. ^ Tse, G; Eslick, G.D. (2014). "Cruciferous vegetables and risk of colorectal neoplasms: a systematic review and meta-analysis". Nutrition and Cancer. 66 (1): 128–139. doi:10.1080/01635581.2014.852686. PMID 24341734. ^ Wu, Y.; Feng, X.; Jin, Y.; Wu, Z.; Hankey, W.; Paisie, C.; Li, L.; Liu, F.; Barsky, S. H.; Zhang, W.; Ganju, R.; Zou, X. (2010). "A novel mechanism of indole-3-carbinol effects on breast carcinogenesis involves induction of Cdc25A degradation". Cancer Prevention Research. 3 (7): 818–828. doi:10.1158/1940-6207.CAPR-09-0213. PMC 4214069. PMID 20587702. Lay summary – Science Daily (June 30, 2010). ^ Decoteau, Dennis R. (2000). Vegetable Crops. Prentice Hall. p. 174. ISBN 978-0-13-956996-8. ^ Phillips, Henry (1827). 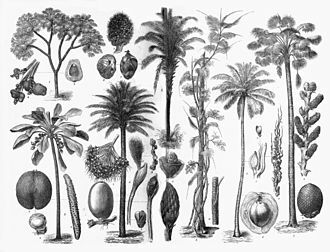 History of Cultivated Vegetables: Comprising their Botanical, Medicinal, Edible, and Chemical Qualities; Natural History. Henry Colburn. p. 99. ^ Dalby, Andrew; Grainger, Sally (1996). The Classical Cookbook. Getty Publications. p. 52. ISBN 978-0-89236-394-0. ^ a b c Hatfield, Gabrielle (2004). Encyclopedia of Folk Medicine: Old World and New World Traditions. ABC-CLIO. pp. 59–60. ISBN 978-1-57607-874-7. ^ Wong, Boh Boi; Koh, Serena; Hegney, Desley Gail; He, Hong-Gu (2012). "The effectiveness of cabbage leaf application (treatment) on pain and hardness in breast engorgement and its effect on the duration of breastfeeding". The JBI Database of Systematic Reviews and Implementation Reports. 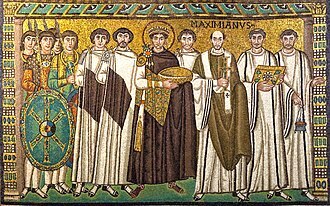 10 (20): 1185–1213. Archived from the original on 2013-10-02. ^ "The digestive system and gas". WebMD. Retrieved 24 June 2013. ^ Davis, J. G.; Kendall, P. (April 19, 2013). "Preventing E. coli from Garden to Plate". Colorado State University. Retrieved 2012-08-10. ^ "Chapter IV. Outbreaks Associated with Fresh and Fresh-Cut Produce. Incidence, Growth, and Survival of Pathogens in Fresh and Fresh-Cut Produce". Analysis and Evaluation of Preventive Control Measures for the Control and Reduction/Elimination of Microbial Hazards on Fresh and Fresh-Cut Produce. US Food and Drug Administration. April 12, 2012. Archived from the original on November 9, 2012. Retrieved 2012-08-10. ^ "Cabbage Risk Assessment Introduction and Summary" (PDF). Ontario Ministry of Agriculture, Food and Rural Affairs. December 2001. Archived from the original (PDF) on 2013-09-21. Retrieved 2012-08-19. ^ Vanderpas J (2006). "Nutritional epidemiology and thyroid hormone metabolism" (PDF). Annu Rev Nutr. 26: 293–322. doi:10.1146/annurev.nutr.26.010506.103810. PMID 16704348. Bradley, Fern Marshall; Ellis, Barbara W.; Martin, Deborah L., eds. (2009). The Organic Gardener's Handbook of Natural Pest and Disease Control. Rodale, Inc. ISBN 978-1-60529-677-7. Dixon, Geoffrey R. (2007). Vegetable Brassicas and Related Crucifers. Crop Production Science in Horticulture. 14. CAB International. ISBN 978-0-85199-395-9. Janick, Jules (2011). Plant Breeding Reviews. 35. John Wiley & Sons. ISBN 978-1-118-10049-3. Katz, Solomon H.; Weaver, William Woys (2003). Encyclopedia of Food and Culture. 2. Scribner. ISBN 978-0-684-80565-8. Maynard, Donald N.; Hochmuth, George J. (2007). Knott's Handbook for Vegetable Growers (5th ed.). Wiley. ISBN 978-0-471-73828-2. Ordas, Amando; Cartea, M. Elena (2008). "Cabbage and Kale". In Prohens, J.; Nuez, F. Vegetables I: Asteraceae, Brassicaceae, Chenopodiaceae, and Cucurbitaceae. 2. Springer. ISBN 978-0-387-72291-7. Tannahill, Reay (1973). Food in History. Stein and Day. ISBN 978-0-8128-1437-8. Wien, H. C.; Wurr, D. C. E. (1997). "Cauliflower, broccoli, cabbage and brussel sprouts". In Wien, H. C. The Physiology of Vegetable Crops. CAB International. ISBN 978-0-85199-146-7. Wikimedia Commons has media related to Brassica oleracea var. capitata. Pickling is the process of preserving or expanding the lifespan of food by either anaerobic fermentation in brine or immersion in vinegar. The resulting food is called a pickle, or, to prevent ambiguity, the pickling procedure will typically affect the foods texture and flavor. In East Asia, vinaigrette is used as a pickling medium. Foods that are pickled include meats, eggs, another distinguishing characteristic is a pH of 4.6 or lower, which is sufficient to kill most bacteria. Pickling can preserve perishable foods for months, antimicrobial herbs and spices, such as mustard seed, cinnamon or cloves, are often added. 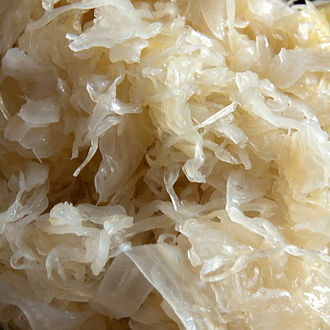 If the food contains sufficient moisture, a pickling brine may be produced simply by adding dry salt, for example, German sauerkraut and Korean kimchi are produced by salting the vegetables to draw out excess water. Natural fermentation at room temperature, by lactic acid bacteria, produces the required acidity, other pickles are made by placing vegetables in vinegar. 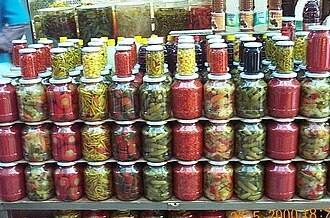 Unlike the canning process, pickling does not require that the food be completely sterile before it is sealed, the acidity or salinity of the solution, the temperature of fermentation, and the exclusion of oxygen determine which microorganisms dominate, and determine the flavor of the end product. When both salt concentration and temperature are low, Leuconostoc mesenteroides dominates, producing a mix of acids, alcohol, at higher temperatures Lactobacillus plantarum dominates, which produces primarily lactic acid. Many pickles start with Leuconostoc, and change to Lactobacillus with higher acidity, pickling began 4000 years ago using cucumbers native to India. This was used as a way to food for out-of-season use and for long journeys. Salt pork and salt beef were common staples for sailors before the days of steam engines, although the process was invented to preserve foods, pickles are made and eaten because people enjoy the resulting flavors. Pickling may improve the value of food by introducing B vitamins produced by bacteria. The term pickle is derived from the Dutch word pekel, meaning brine, in the U. S. and Canada, and sometimes Australia and New Zealand, the word pickle alone almost always refers to a pickled cucumber, except when it is used figuratively. It may refer to types of pickles such as pickled onion, pickled cauliflower. Brassica rapa L. is a plant consisting of various widely cultivated subspecies including the turnip, napa cabbage, bok choy, and cime di rapa, and. The oil made from the seed is called canola, which is one reason why it is sometimes confused with rapeseed oil. 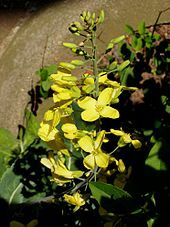 The oilseeds known as canola are sometimes particular varieties of Brassica rapa but usually the related species Brassica napus, in the 18th century the turnip and the oilseed-producing variants were seen as being different species by Carl Linnaeus who named them B. rapa and B. campestris. 20th-century taxonomists found that the plants were cross fertile and thus belonged to the same species, since the turnip had been named first by Linnaeus, the name Brassica rapa was adopted. Many butterflies, including the small white pollinate the B. rapa flowers, media related to Brassica rapa at Wikimedia Commons Multilingual taxonomic information. PROTA database record on Brassica rapa L. Brassica rapa, Brassica rapa L. Germplasm Resources Information Network. A stew is a combination of solid food ingredients that have been cooked in liquid and served in the resultant gravy. Ingredients in a stew can include any combination of vegetables or meat, especially tougher meats suitable for slow-cooking, poultry and seafood are used. 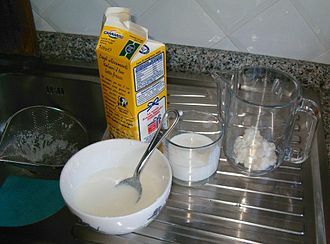 While water can be used as the liquid, stock. 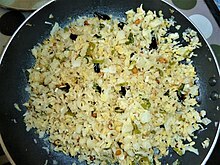 Seasoning and flavourings may be added, stews are typically cooked at a relatively low temperature, allowing flavors to mingle. Stewing is suitable for the least tender cuts of meat become tender. This makes it popular in low-cost cooking, cuts having a certain amount of marbling and gelatinous connective tissue give moist, juicy stews, while lean meat may easily become dry. Stews may be thickened by reduction or with flour, either by coating pieces of meat with flour before searing, or by using a roux or beurre manié, thickeners like cornstarch or arrowroot may be used. Stews are similar to soups, and in some there may not be a clear distinction between the two. Generally, stews have less liquid than soups, are much thicker, while soups are almost always served in a bowl, stews may be thick enough to be served on a plate with the gravy as a sauce over the solid ingredients. Stews have been made since ancient times, herodotus says that the Scythians put the flesh into an animals paunch, mix water with it, and boil it like that over the bone fire. The bones burn very well, and the paunch easily contains all the meat once it has been stripped off, in this way an ox, or any other sacrificial beast, is ingeniously made to boil itself. Amazonian tribes used the shells of turtles as vessels, boiling the entrails of the turtle, other cultures used the shells of large mollusks to boil foods in. There is archaeological evidence of these practices going back 8,000 years or more, there are recipes for lamb stews and fish stews in the Roman cookery book Apicius, believed to date from the 4th century AD. Le Viandier, one of the oldest cookbooks in French, written in the early 14th century by the French chef known as Taillevent, has ragouts or stews of various types in it, the first written reference to Irish stew is in Byrons The Devils Drive, The Devil. A rebel or so in an Irish stew, stew is traditionally known as an English dish and has been a household favorite for centuries. 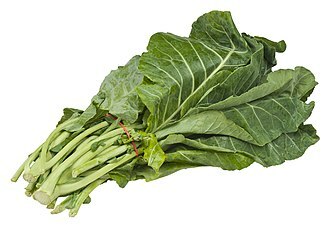 Brassica oleracea is a plant species that includes many common foods as cultivars, including cabbage, cauliflower, Brussels sprouts, collard greens, savoy and gai lan. In its uncultivated form, it is called wild cabbage, and is native to southern and western Europe. Wild B. oleracea is a biennial plant that forms a stout rosette of large leaves in the first year. The leaves are fleshier and thicker than other Brassica species—an adaptation that helps it store water, in its second year, it uses the stored nutrients to produce a flower spike 1 to 2 metres tall with numerous yellow flowers. B. oleracea has become established as an important human food crop plant, used because of its large food reserves and it is rich in essential nutrients including vitamin C. A diet rich in vegetables is linked to a reduced risk of several human cancers. Theophrastus mentions three kinds of rhaphanos, a curly-leaved, a smooth-leaved, and a wild-type and he reports the antipathy of the cabbage and the grape vine, for the ancients believed cabbages grown near grapes would impart their flavour to the wine. The historical genus of Crucifera, meaning cross-bearing, may be the only unifying feature beyond taste, according to the Triangle of U theory, B. oleracea is very closely related to five other species of the genus Brassica. These tree cabbages yield fresh leaves throughout the year, are perennial and their woody stalks are sometimes dried and made into walking sticks. With the advent of agriculture and the domestication of wild crop plants, through artificial selection for various phenotype traits the emergence of variations of the plant with drastic differences in looks took only a few thousand years. Preference for leaves, terminal bud, lateral bud, the preference for the eating of the leaves led to the selection of plants with larger leaves being harvested and their seeds planted for the next growth. 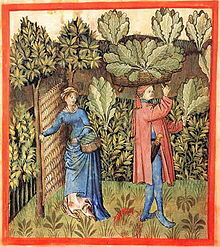 Around the fifth century BC, the formation of what we now know as kale had developed, preference led to further artificial selection of kale plants with more tightly bunched leaves, or terminal bud. The Brussels sprout is a member of the Gemmifera Group of cabbages, grown for its edible buds. The leafy green vegetables are typically 2. 5–4 cm in diameter, the Brussels sprout has long been popular in Brussels and may have originated and gained its name there. Forerunners to modern Brussels sprouts were likely cultivated in Ancient Rome, Brussels sprouts as they are now known were grown possibly as early as the 13th century in what is now Belgium. The first written reference dates to 1587, during the 16th century, they enjoyed a popularity in the Southern Netherlands that eventually spread throughout the cooler parts of Northern Europe. Brussels sprouts grow in temperature ranges of 7–24 °C, with highest yields at 15–18 °C, fields are ready for harvest 90 to 180 days after planting. The edible sprouts grow like buds in helical patterns along the side of long, thick stalks of about 60 to 120 cm in height, each stalk can produce 1.1 to 1.4 kg, although the commercial yield is about 900 g per stalk. Harvest season in temperate zones of the northern latitudes is September to March, in the home garden, harvest can be delayed as quality does not suffer from freezing. Sprouts are considered to be sweetest after a frost, Brussels sprouts are a cultivar group of the same species as cabbage, in the same family as collard greens, broccoli and kohlrabi, they are cruciferous. Many cultivars are available, some being purple in colour, such as Ruby Crunch or Red Bull, in Continental Europe, the largest producers are the Netherlands, at 82,000 metric tons, and Germany, at 10,000 tons. 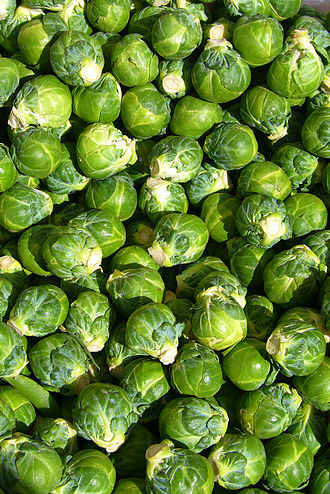 The United Kingdom has production comparable to that of the Netherlands, production of Brussels sprouts in the United States began in the 18th century, when French settlers brought them to Louisiana. The first plantings in Californias Central Coast began in the 1920s, the harvest season lasts from June through January. Total American production is approximately 32,000 tons, with a value of $27 million, about 80% to 85% of US production is for the frozen food market, with the remainder for fresh consumption. Once harvested, sprouts last three to five weeks under ideal near-freezing conditions before wilting and discolouring, and about half as long at refrigerator temperature, American varieties are generally 2. 5–5 cm in diameter. Brussels sprouts, as with broccoli and other brassicas, contain sulforaphane, although boiling reduces the level of sulforaphane and stir frying do not result in significant loss. Consuming Brussels sprouts in excess may not be suitable for patients taking anticoagulants such as warfarin since they contain vitamin K, in one reported incident, eating too many Brussels sprouts precipitated hospitalization for an individual on blood-thinning therapy. 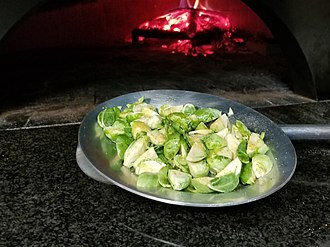 The most common method of preparing Brussels sprouts for cooking begins with cutting the buds off the stalk, any surplus stem is cut away, and any loose surface leaves are peeled and discarded. Once cut and cleaned, the buds are typically cooked by boiling, stir frying, grilling, to ensure even cooking throughout, buds of a similar size are usually chosen. Braising of meat is often referred to as pot roasting, though some authors make a distinction between the two methods, based on whether additional liquid is added. Many classic braised dishes are highly evolved methods of cooking tough, both pressure cooking and slow cooking are forms of braising. Most braises follow the basic steps. The food to be braised is first pan-seared to brown its surface and enhance its flavor, if the food will not produce enough liquid of its own, a certain amount of cooking liquid that often includes an acidic element is added to the pot, often with stock. A classic braise is done with a whole cut of meat. Then, the dish is covered and cooked at a low simmer. 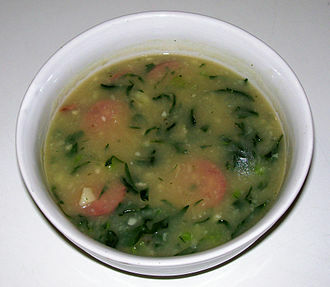 Often the cooking liquid is finished to create a sauce or gravy, foods with high water content can be cooked in their own juices, making the addition of liquid unnecessary. A successful braise intermingles the flavors of the foods being cooked with those of the cooking liquid and this cooking method dissolves the meats collagen into gelatin, which can greatly enrich and thicken the liquid. Jersey cabbage can be cultivated to grow quite large, especially in frost- free climates. Red cabbage in panorama between Finningen and Mörslingen, Germany. Kimchi is a very common side dish in Korea.